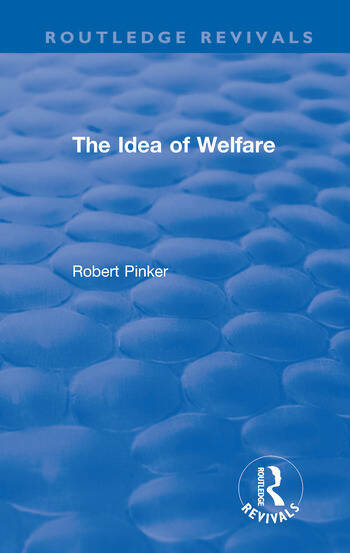 Originally published in 1979, The Idea of Welfare critically reviews the concepts of egoism and altruism as they are expressed in residual and intuitional models of social welfare. The book describes the way in which the scope and limits of obligation and entitlement are determined in practice by the interplay of familial, communal, national and international loyalties. It also looks at the similarities and differences between economic and social forms of exchange and mutual aid. These major themes are developed in a comparative review, which explores the effects of social change on the ways in which people seek to preserve and enhance their welfare through self-help and collective action. The book focuses on Britain, the USA and Russia, it challenges conventional definitions of welfare, largely concerned with formal social policies sponsored by government and uses historical material to illustrate the dominant forms of a mutual aid which were practised before the development of modern welfare states.